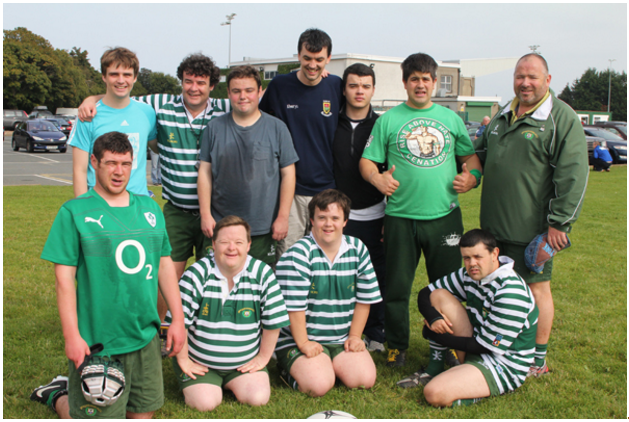 The Greystones Seagulls are a Tag Rugby team established to provide young and old in our community with intellectual disability the opportunity to play and enjoy Rugby. Tag rugby is a non-contact form of Rugby with a focus on ball handling and spatial awareness and helps develop skills and fitness but overall it gives the joy of playing rugby for Greystones. Involvement with the Seagulls as a coach or mentor is tremendously rewarding with the fun and smiles truly infectious. If you can spare a couple of hours on a Sunday morning to help or know someone with special needs who would like to take part just let us know. Some of the Seagulls Tag Team during a training session recently on Sunday morning. If you would like to join or help with coaching please contact Keith O’Brien. Training takes place every Sunday 11am – 12.30pm.